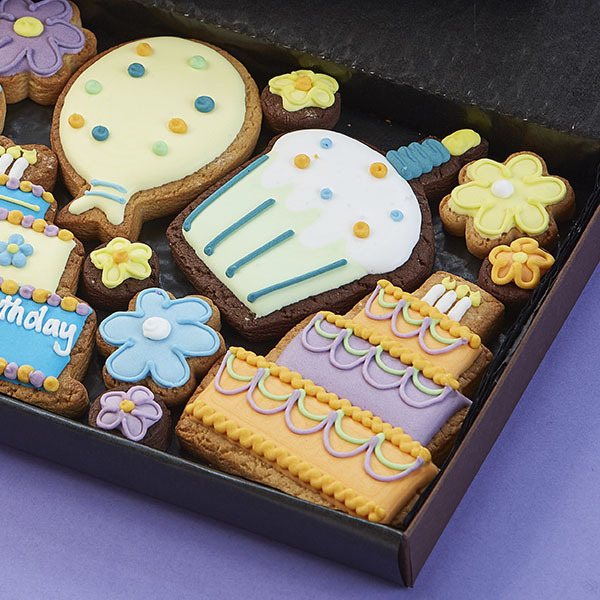 Treat someone special to our personalised Medium Happy Birthday Gift Box. 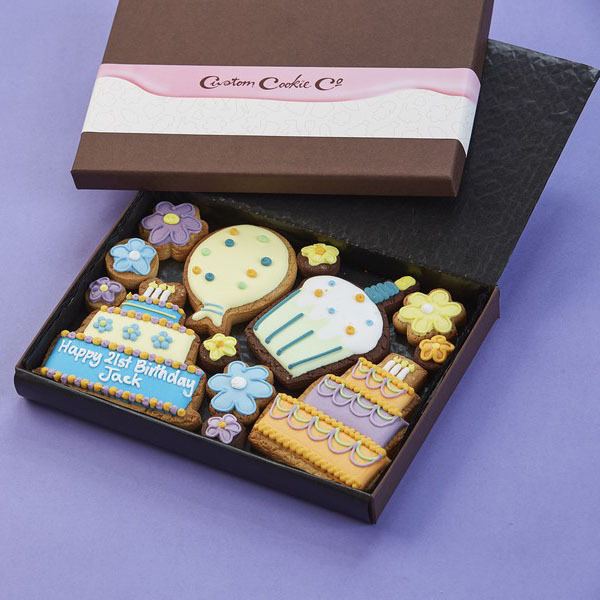 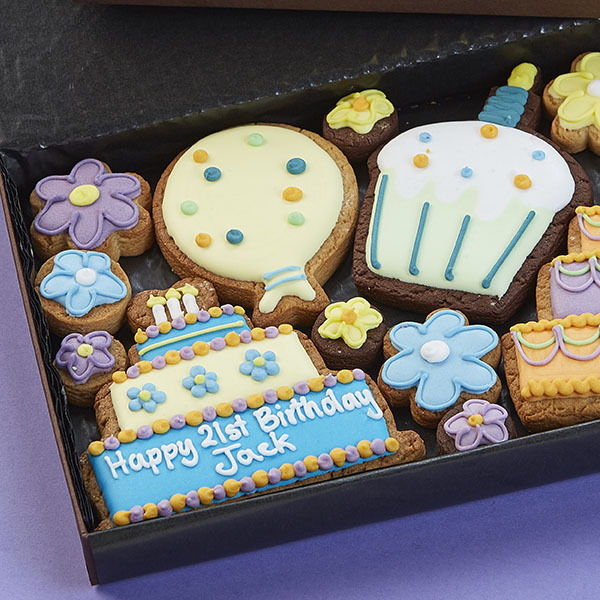 The Cake cookie and Balloon cookie can be personalised with your birthday message (maximum 5 words) and the gift box also includes a ribboned gift tag bearing your special message. 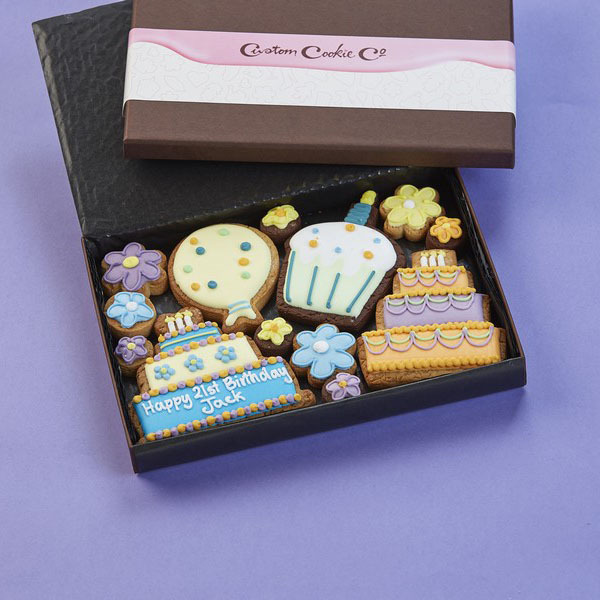 Available in both Male and Female colours.